1. Open the thread in your browser. 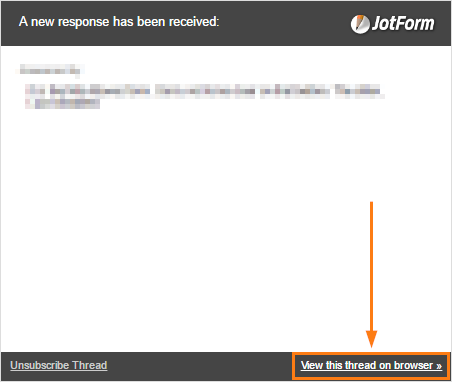 If you got a reply via email, there should be a link at the bottom right that says VIEW THIS THREAD ON BROWSER. Click that link to open your thread in a new tab. 2. Once you have your thread open, scroll downwards until you see the YOUR ANSWER section. 3. This is where you will reply. Click the INSERT / EDIT IMAGE button. 4. Then either paste the image URL or upload the image from your PC. Click the OK button to post the image on your thread. I have created a form and have set up "trigger mails" to send send to people that have completed the from. The images in an emails can either arrive in an inbox embedded or still be referenced in other words the recipient needs to right click on the placeholder where the image needs to go and click on download image, this then downloads the image and seconds later displays where the placeholder frame is. currently I can only get the mails that I build in Jotform to be referenced in the body of the mail. How can I change this setting when creating the mails to arrive already in place (embedded) in the recipients inbox? This is a copy of what I received after doing a test application form. No option to "upload the image". Is it possible to talk with someone from your support team? Those were the questions I took out to get approved. Let me know if some I can put back on my form. Perhaps you can see my problem on this video. How do i remove the page numbers showing on my application form ive created?